Futuring proposes alternative modes of thinking, creating and existing, acknowledging that the outlook is not an infinite abyss, arranged in succession of the past and present flowing onto the future. It requires, what Fry asserts as an Anthropologic examination into prefiguration prior to creation (Fry 2008, p. 2). In this broad sense, our proposed scenario effectively deals with the ideas surrounding a technologically mediated existence, a smooth and uninterrupted design of the lived experience of both the human and the machine. The scenario considers the changes in the shifting behaviours and needs of the individual in order to nurture an intimate relationship through devices and experiences that can fundamentally alter our understanding of what it feels like to be human. As futurist Syd Mead points out, ‘ the data to make a design is more valuable than what the data directs to make’ (Mead 2003). As design enables us to live more fulfilling lives whilst benefitting from the potential promised by contemporary technology, designers are entailed with the challenge of creating elasticity. As a product of acceleration and adaptability, elasticity facilitates transformation and progress whilst maintaining agency and accessibility (Antonelli 2008). In recent times, there has been a renewed interest into the senses, memory and of identity, staples within humankind rendered important by the rapid distribution of technology. 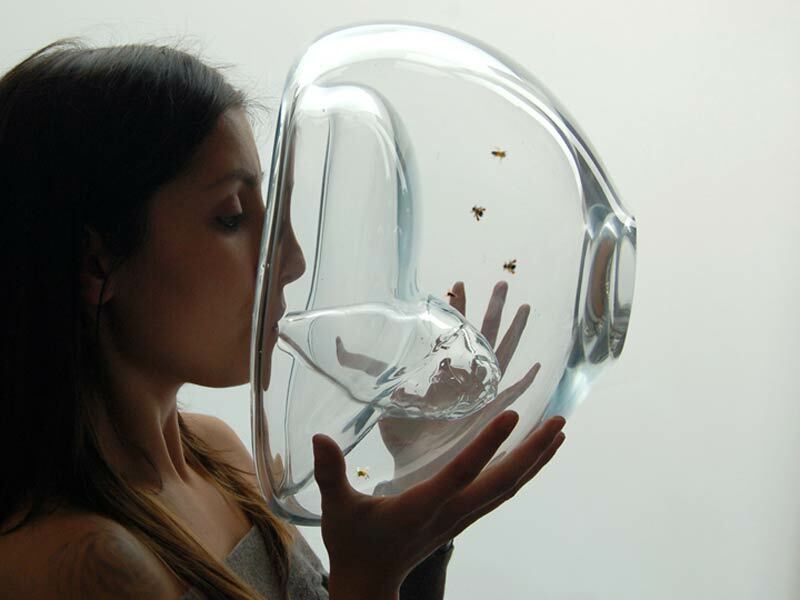 As explored in designer’s Burstein and Gauler’s synesthesial projects and in the scent-oriented works of Susana Soares, they reveal technology’s capacity to expand our sensorial consciousness. From their Sensory Plastic project, Burstein and Gauler’s ‘Eye Candy’ is a metaphorical reference to the plasticity of the brain and its opportunities of constructing new synaptic connections which adjusts to sensory input, exchanging individual senses and using a range of mediums to generate an augmented reality. Independent from our active presence of being, our scenario does not view technology as a free operating agent, nor does view technology as operating us. However, technology’s power exists through its calculated and rarefied mind of computational meaning and information, having the capability to create a metaphysical place, altering how time and space is physically occupied and understood (Fry 2008). 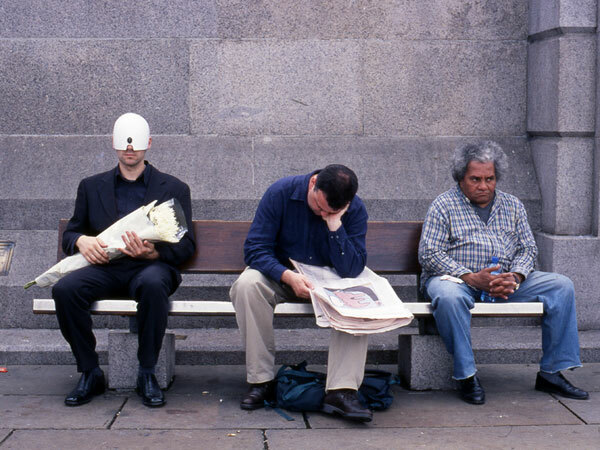 This concept of social Tele-presence is to have the optical and auditory senses inhabit a live, yet non-virtual location whilst being physically detached from an individual’s own location. Designers Auger & Loizeau examine both current and near-future implications of an existence with the speculative application of Tele-presence within a social context. Whilst technology undeniably provides us with infinite choices, our scenario recognises that we exist within a finite domain and our collective existence concerns the ‘sustainability of our futuring actions’ (Fry 2008). Linked to this is the idea of collective design, which Antonelli coined as the idea of ‘existence maximum,’ collectivity creates a new equilibrium between the individual and their environment (Antonelli 2008). Whilst this sustained investigation of nature’s organic systems emerged as a result of this growing awareness of the environment, design needs to transcend beyond the confines of its experimental tools to directly engage with technological development. Perhaps like Chalayan’s ‘Mechanical Dress,’ it acts as a reminder of the necessity of owning fewer, but more elastic and sensory objects in our lives. An interview with Syd Mead by Ayhan Ensici, 2003, Designophy, viewed 26 October, < http://www.designophy.com/interview/design-article-1000000004-syd-mead.htm>. Antonelli, P., 2008, Design and the elastic mind, The Museum of Modern Art, New York. Auger-Loizeau, 2001, Social tele-presence, viewed 26 October, <http://www.auger-loizeau.com/index.php?id=11>. Fry, T., 2008, Sustainability, ethics and new practice, Berg Publishers Ltd; [distributor] Macmillan Distribution (MDL), Oxford. Musuem of Modern Art, 2015, Eye candy from the sensory plasticity project (models), New York, viewed 26 October, < http://www.moma.org/collection/works/126784?locale=en>. Paola Antonelli: design and the elastic mind, 2007, video recording, TED, California, viewed 26 October, < https://www.ted.com/talks/paola_antonelli_previews_design_and_the_elastic_mind?language=en>. 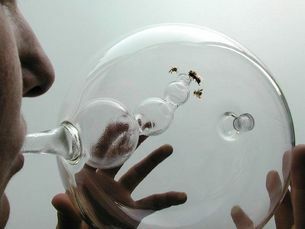 Susana Soares, 2011, Bee’s / project, viewed 26 October, < http://www.susanasoares.com/index.php?id=56>. “Perhaps like Chalayan’s ‘Mechanical Dress,’ it acts as a reminder of the necessity of owning fewer, but more elastic and sensory objects in our lives.” Great closing sentence – I think this is definitely true as we begin to also realise how much waste comes from owning “fast” things (think fast fashion, fast food etc.)! Great examples that correlate with our object development!